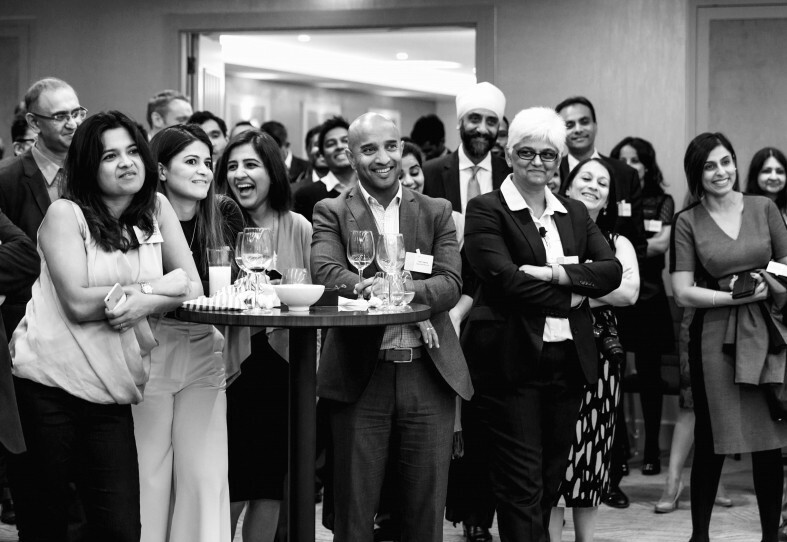 KPMG played host to celebrate and connect the best of Asian talent last week at their Asian Festive Drinks reception in London. The event brought together a standout crowd of young achievers to the firm’s client space in Mayfair. The Big Four firm kicked off the festival season celebrations in a room full of talented Asians including a new generation of entrepreneurs, professionals, artists, media personalities, many of whom are award winners in their respective fields. Asian Wealth Magazine was proud to be a partner and launch the Autumn edition exclusively at the event. “Asian businesses in the UK generate billions of pounds for the economy in addition to creating several thousands of jobs. Beyond this influence on our economy, the Asian community has made countless contributions to our public services, as well as our culture and society. regulations and technological revolution, change is something KPMG has embrace both within the firm and for their clients. Being clear on their purpose, evolving business models to fit client needs and collaboration with McLaren and IBM Watson are making KPMG more relevant for the clients of tomorrow. This was a key message for the evening as traditional business models are evolving. In her speech, Bina also pointed out the shortening average life span of family businesses from 50 years in 1981 to a predicted 12 years in 2025. Making businesses connections is seen as an essential process for growing enterprises as recent research by one of the high street banks revealed that a third of small businesses and entrepreneurs struggle to make new business connections that directly impact their organisations. This is despite a vast majority (86 percent) of senior decision makers in small businesses knowing that new connections are important for their business’ success. Just over a fifth (21 percent) of small businesses said they were spending up to £1,000 to make a single new business connection. Guests were entertained by multi award winning comedienne Sajeela Kershi, producer and curator of the hit storytelling show Immigrant Diaries which has toured to sell out shows. Sajeela had the guests crying with laughter as she told her story of moving away from stereotypes and becoming a successful female comedienne.